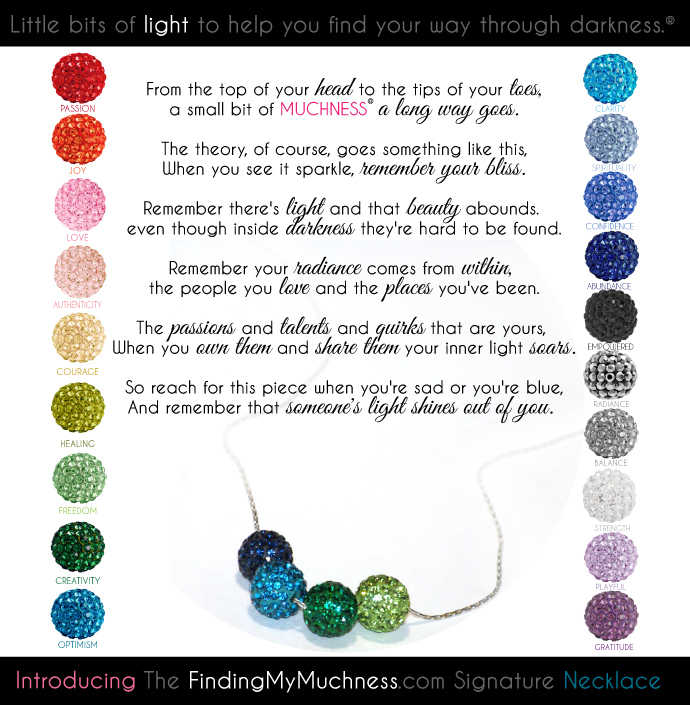 Muchness Custom necklaces are beautifully and meaningfully gift boxed and designed to be “Little bits of light to help you find your way through darkness.” Each Swarovski encrusted bead carries a meaningful sentiment which is expressed on the inside cover of the gift box, so every Muchness necklace tells a story and just like it’s owner, is truly unique. 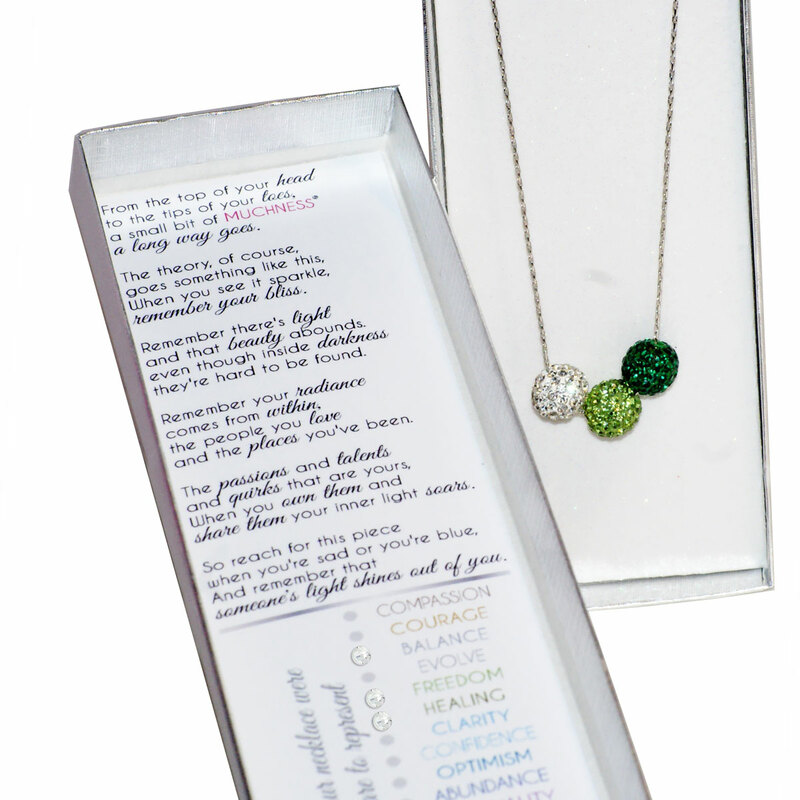 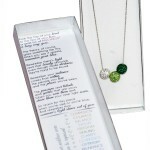 The gift box is marked by color with tiny Swarovski crystals and is imprinted with the poem below. 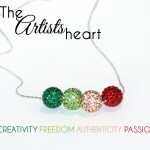 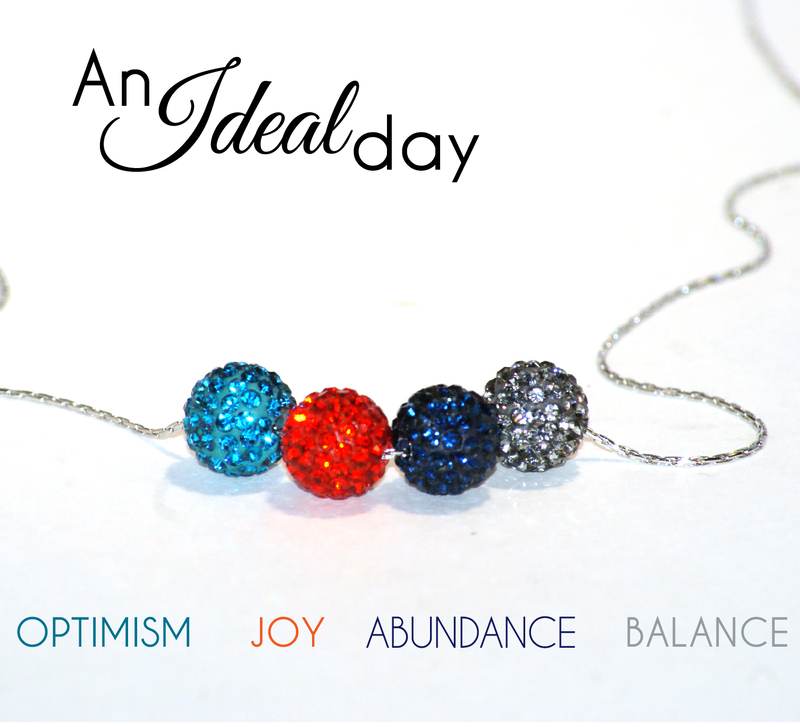 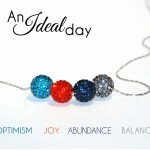 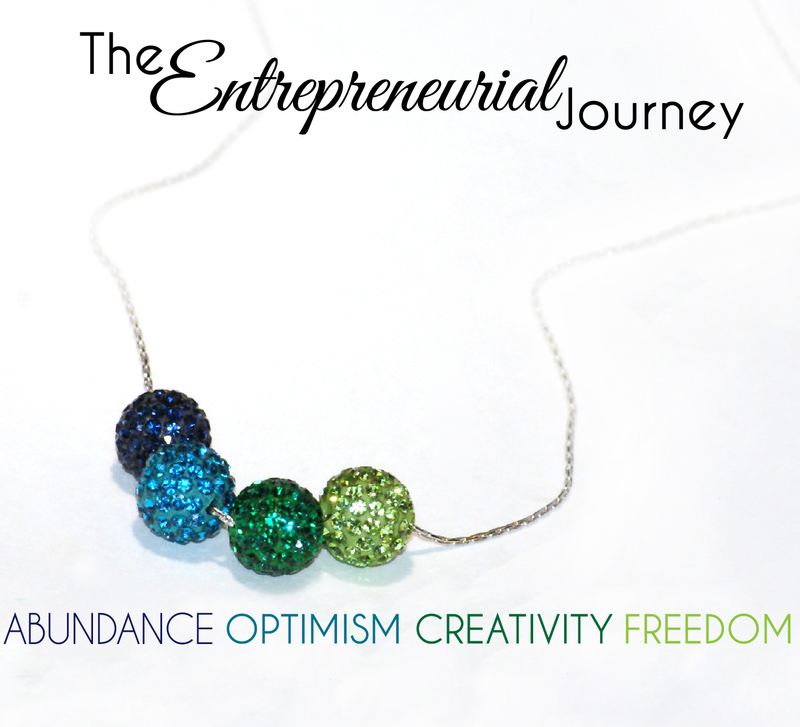 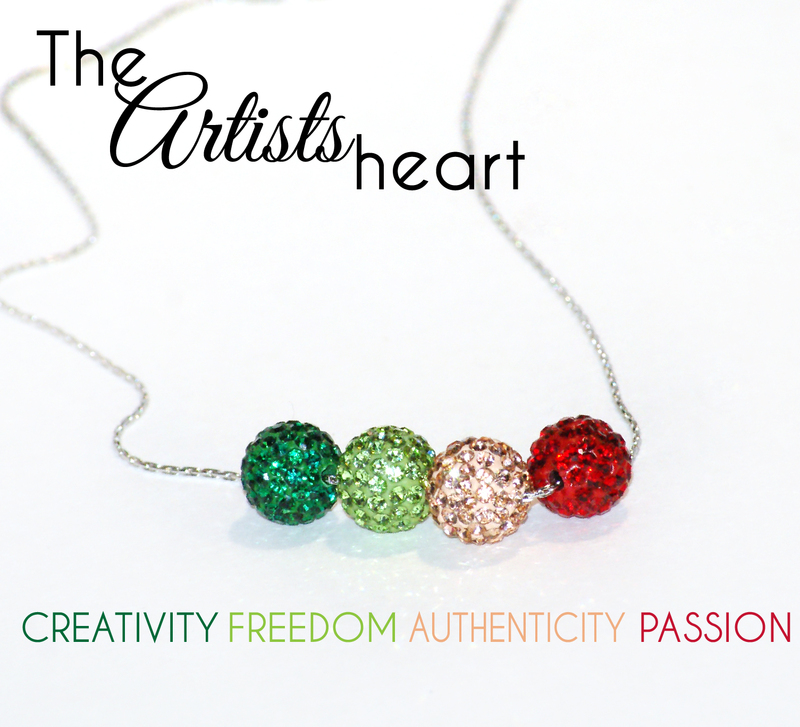 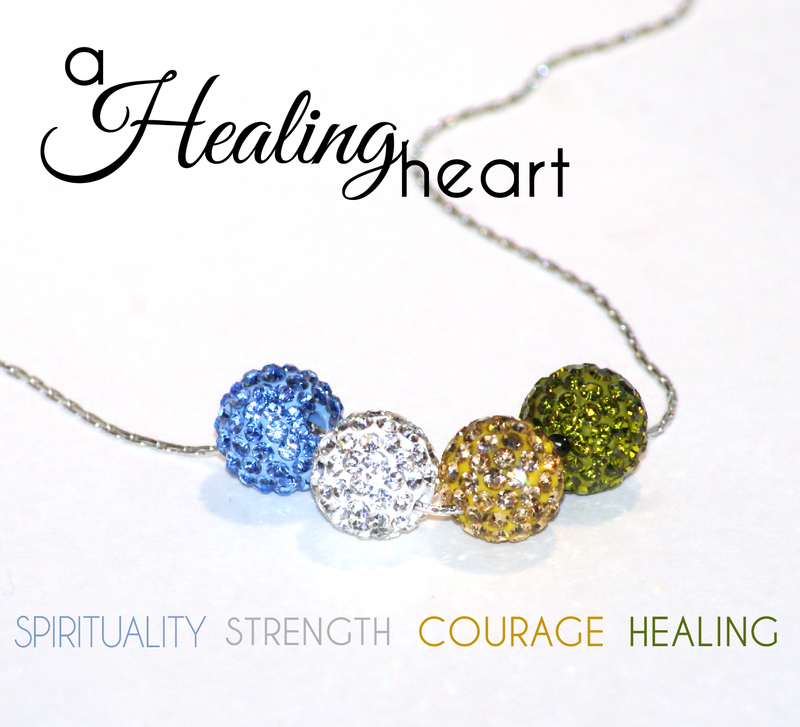 I know that writing a story in a necklace can be hard, (especially when all the colors are so pretty!) 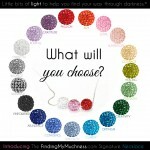 so I have created these “one-click” options for you, and the people with whom you want to share the Muchness. 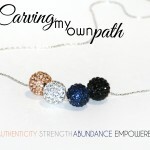 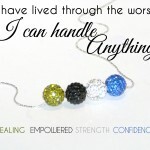 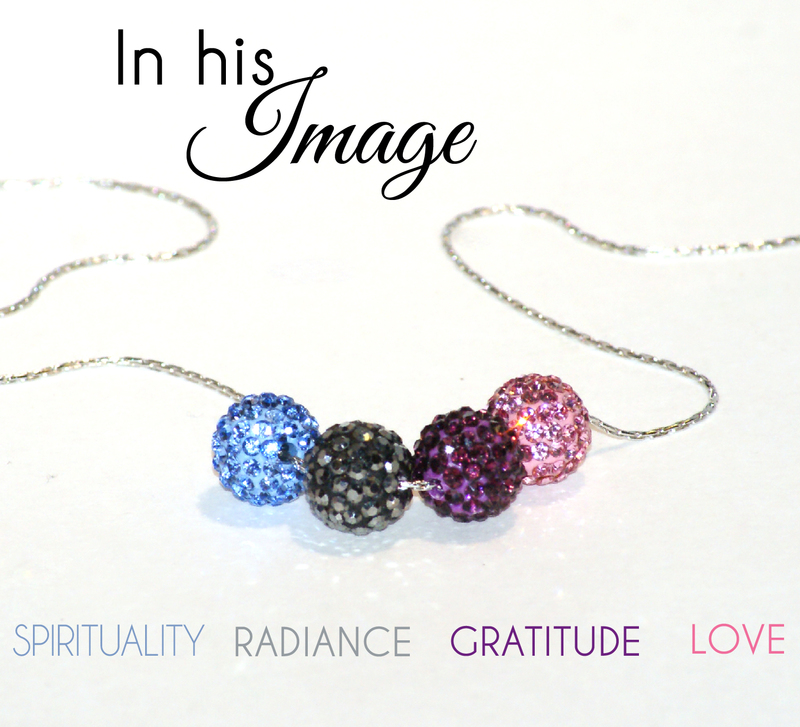 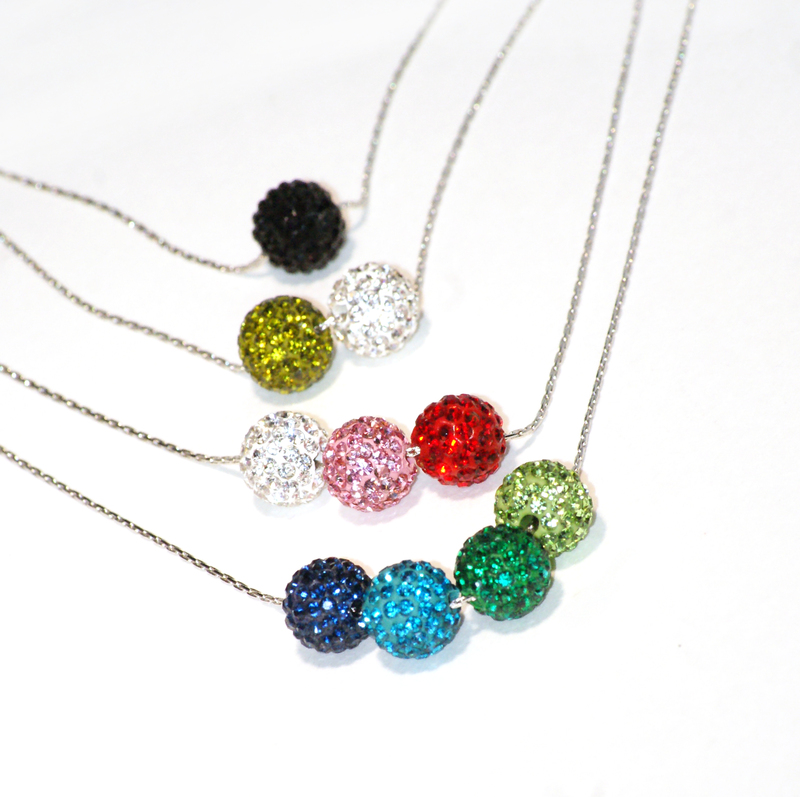 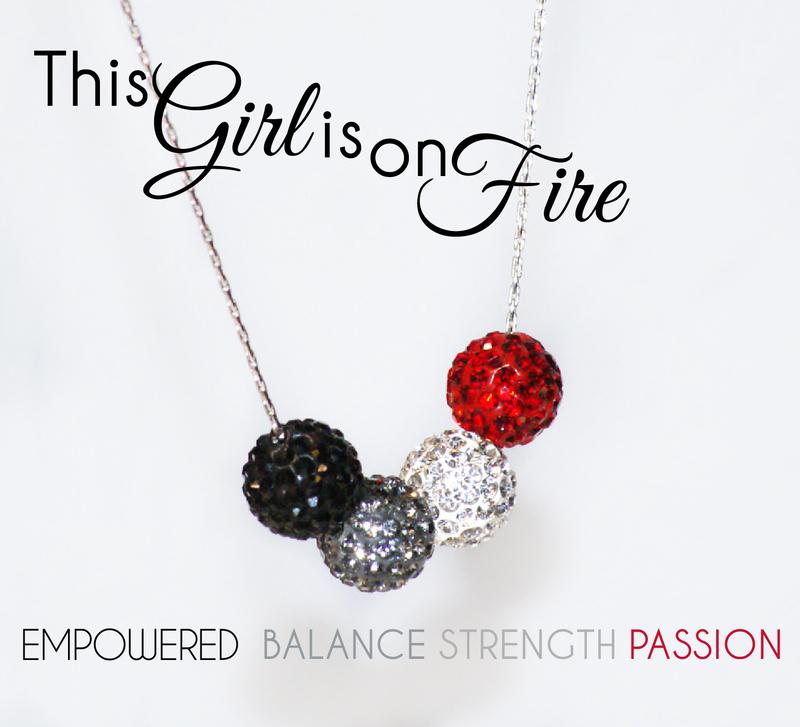 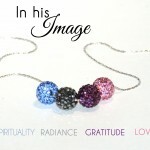 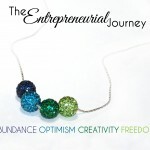 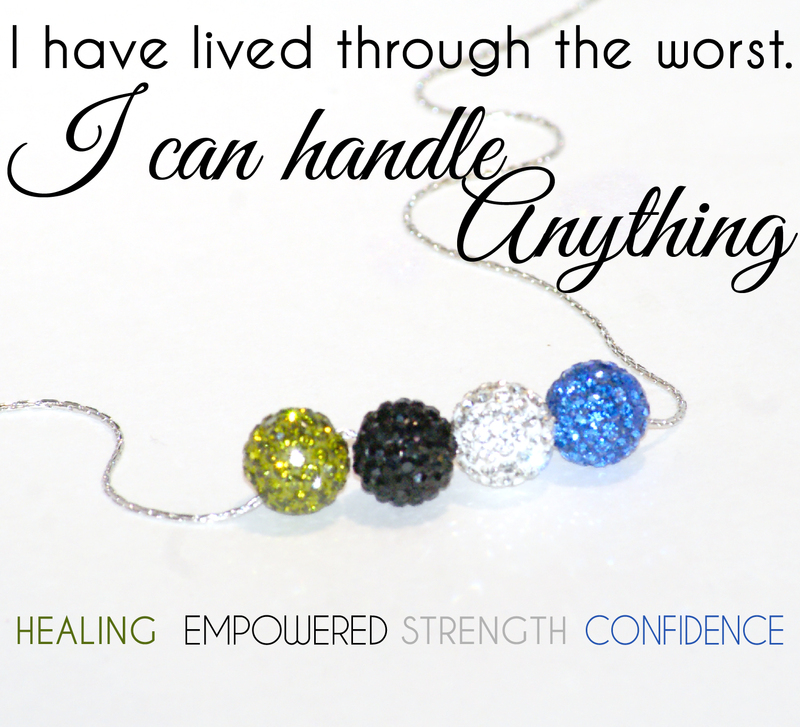 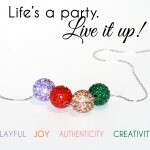 If you’d like to fully customize your necklace, please click here. 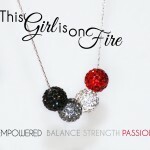 *Currently taking preorders, limited quantities available. 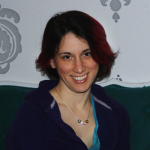 Please allow 2 weeks for customization. 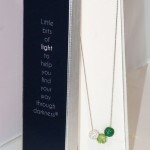 a small bit of MUCHNESS a long way goes. 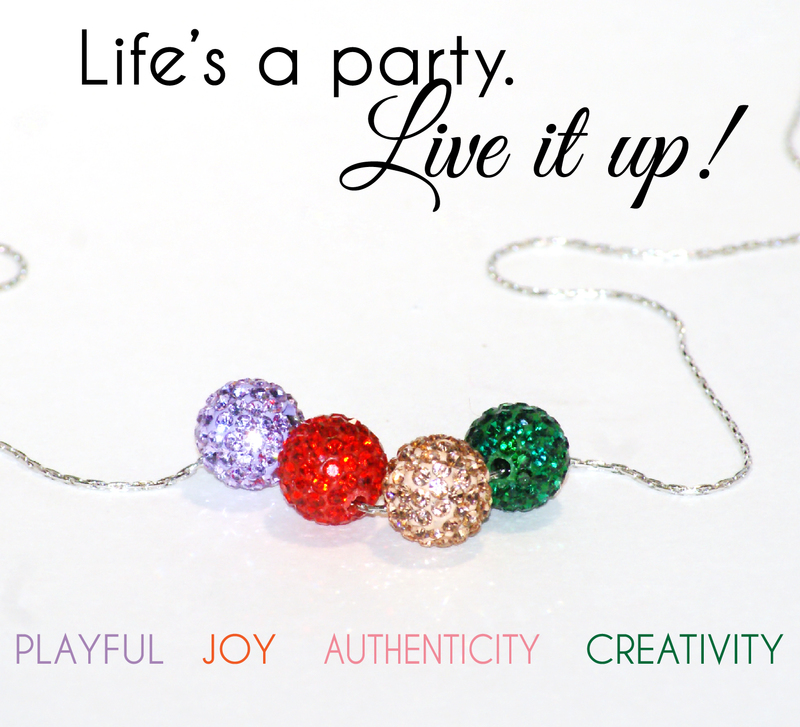 When you see it sparkle, remember your bliss. 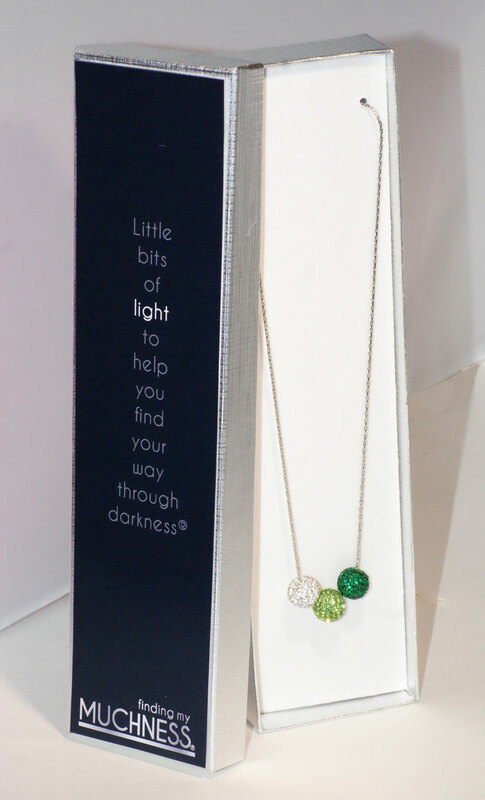 even though inside darkness it’s hard to be found. the people you love and the places you’ve been. 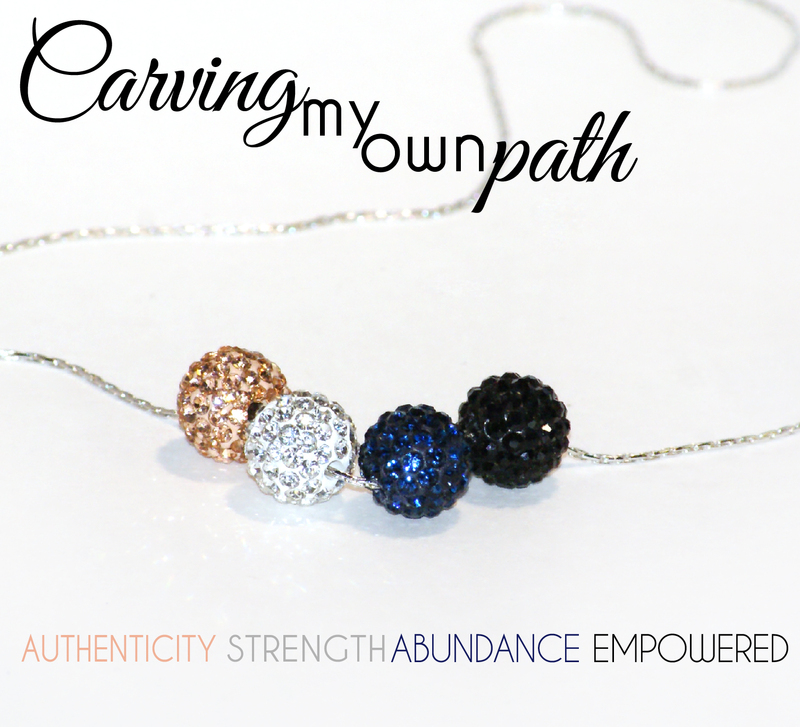 when you own them and share them your inner light soars. 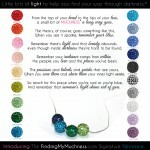 and remember that someone’s light shines out of you. 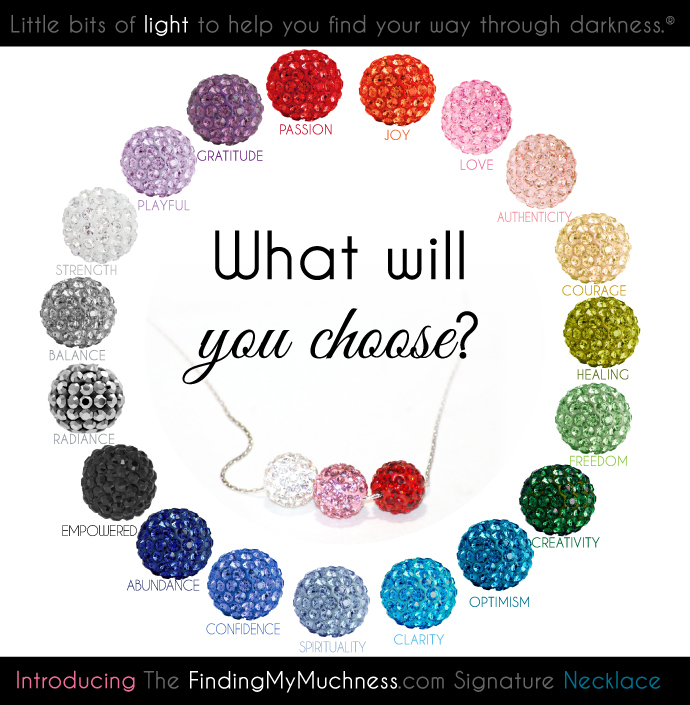 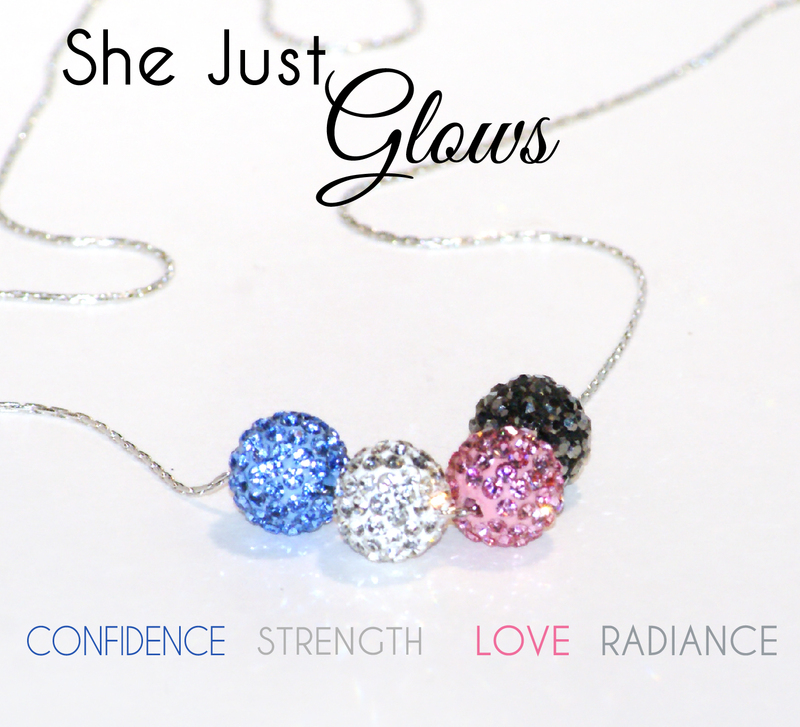 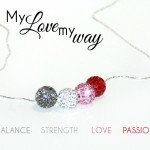 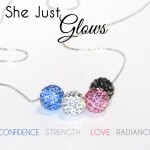 Be the first to review “Muchness Signature Necklace – Pre-designed for you” Click here to cancel reply.